WASHINGTON, D.C. – October 14, 2010 – Christopher J. Nassetta, president & CEO of Hilton Worldwide, will be honored at the National Italian American Foundation’s (NIAF) 35th Anniversary Awards Gala in Washington, D.C. Nassetta will receive the NIAF Special Achievement Award in Business during the event on October 23, 2010 at the Washington Hilton. Honorees joining Nassetta include Dott. Fulvio Conti, CEO of ENEL S.p.A.; Aurelio De Laurentiis, Italian film producer and president of SSC Napoli soccer club; Tom Izzo, head coach of men’s basketball at Michigan State University; Dr. Thomas Scalea, physician-in-chief at the University of Maryland, R Adams Cowley Shock Trauma Center; and Joe Uva, president and CEO of Univision Communications, Inc. Giuliana DePandi-Rancic, anchor and managing editor of E! News and star of the Style Network show “Giuliana & Bill,” will serve as the evening’s emcee. Since 2007 Nassetta has been at the helm of Hilton Worldwide, expanding its operations overseas presence and distinguishing the organization as the preeminent global hospitality company. Previously Nassetta served as president and CEO of Host Hotels and Resorts, Inc., a position he held since 2000. Prior to that post, Nassetta co-founded Bailey Capital Corporation in 1991, where he was responsible for the operations of the real estate investment and advisory firm. He also spent seven years with The Oliver Carr Company, ultimately serving as chief development officer. Nassetta is also currently involved with the following organizations: CoStar Group, Inc., The Real Estate Roundtable (RER), Federal City Council, Arlington Free Clinic, the John F. Kennedy Center for the Performing Arts and the Wolf Trap Foundation for the Performing Arts. Born and raised in Arlington, Va., Nassetta graduated from the University of Virginia’s McIntire School of Commerce with a degree in finance. He now serves on the McIntire School of Commerce Advisory Board. 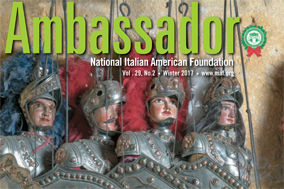 The NIAF Gala is one of the premier annual events in the nation’s capital, attracting more than 3,000 guests from the United States and Italy. In keeping with its tradition of hosting the president, President Barack Obama has been invited to attend. The black-tie Gala begins with a 6 p.m. reception followed by dinner and an awards ceremony. 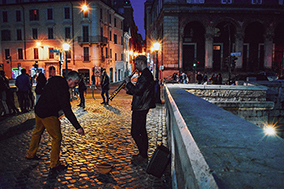 The Gala is part of NIAF’s convention weekend, during which the Foundation will host Expo Italia, a two-day exhibition of Italy’s Best, an Auction Showcase and a conference on education and health issues. Friday evening’s “Davi Sings Sinatra, A Tribute to Sinatra –The Great American Songbook – and America” includes an exclusive performance by actor Robert Davi. 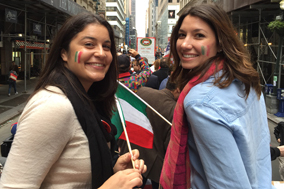 Conferences with leading experts on women’s health, a sports roundtable featuring All–Star Mike Piazza, Michigan State’s Tom Izzo, ESPN’s Sal Paolantonio and Tony Reali and Univision’s Fernando Fiore, and “Indulge in the Flavors of Italy without a Ticket! – Italian Food & Wine Seminar” presented by the Italian Trade Commission, are also part of the convention. Tickets to Saturday’s Gala begin at $400 per person. Proceeds benefit NIAF’s educational programs. For tickets or sponsor information, contact Jerry Jones at 202-387-0600 or jerry@niaf.org, or register online at www.niaf.org. 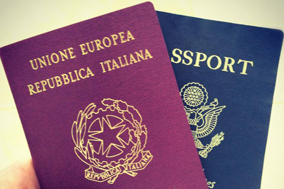 The National Italian American Foundation (NIAF) is a non-profit organization dedicated to preserving and promoting the heritage and culture of Americans of Italian descent.